Detroit-based business law firm Bodman PLC has appointed Erin Mendez as a new attorney for its Ann Arbor office. Mendez will represent individual clients in relation to estate planning and taxation, as well as the administration of complex trusts and estates. Prior to joining Bodman, Mendez was vice president of the trust and investment group for the Bank of Ann Arbor. She managed more than 200 accounts involving revocable and irrevocable trusts, conservatorships, estates, retirement, and nonprofit accounts. For more than 15 years, Mendez served as a trust and estate administration officer for two major banks. The Dexter resident has experience resolving complex issues in real estate, closely held businesses, and various investments. 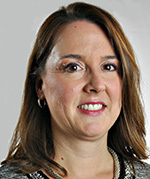 Mendez received her juris doctor from the University of Toledo College of Law, and a master of laws degree in taxation from the Wayne State University Law School. The attorney also holds a certificate in probate and estate planning from the Institute of Continuing Legal Education in Ann Arbor.